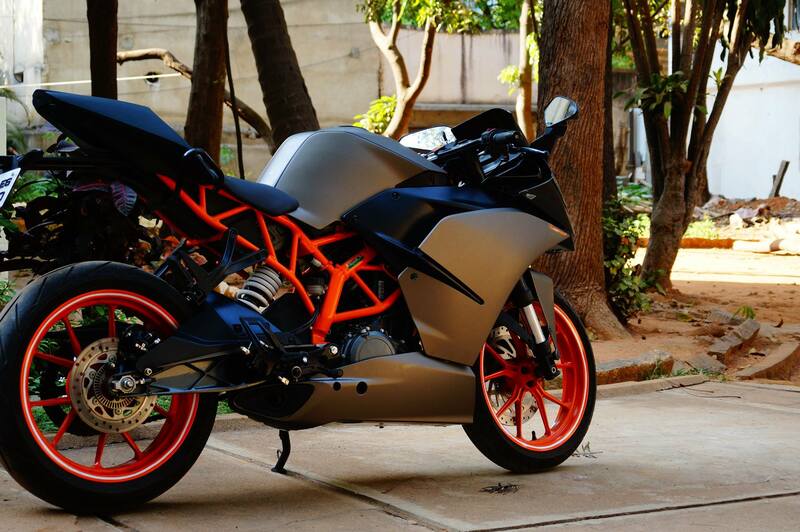 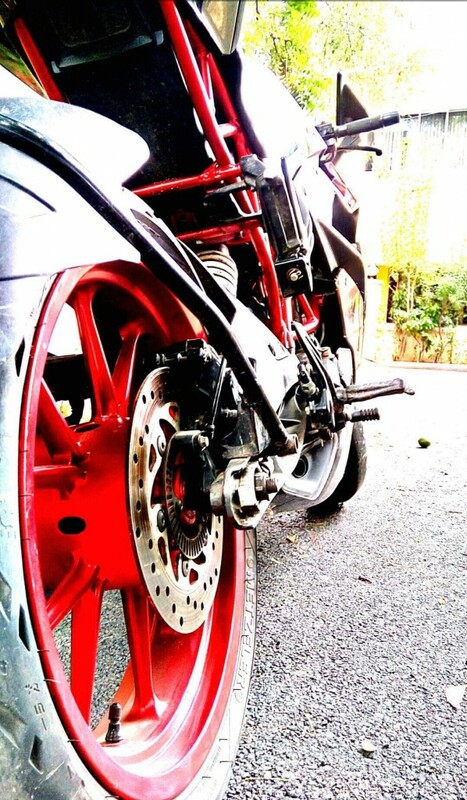 KTM RC390 has became the most loved motorcycle for modification by custom shops all around the country. 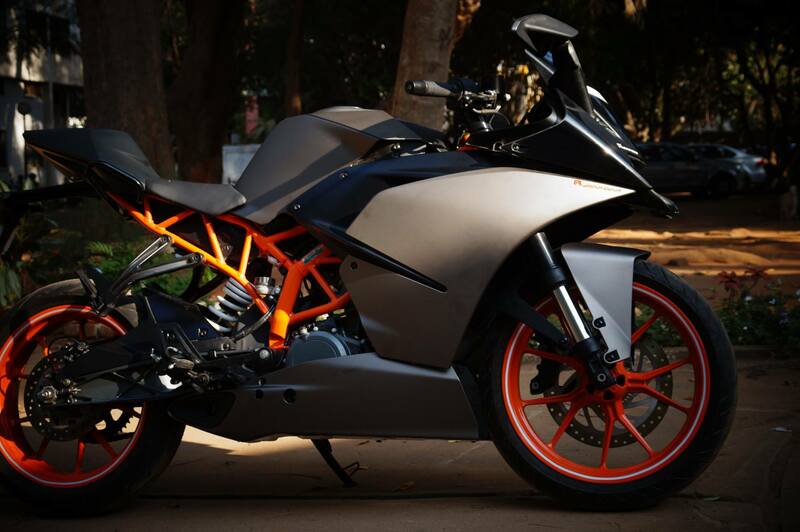 KTM is undoubtedly the new hope for performance lovers of India. 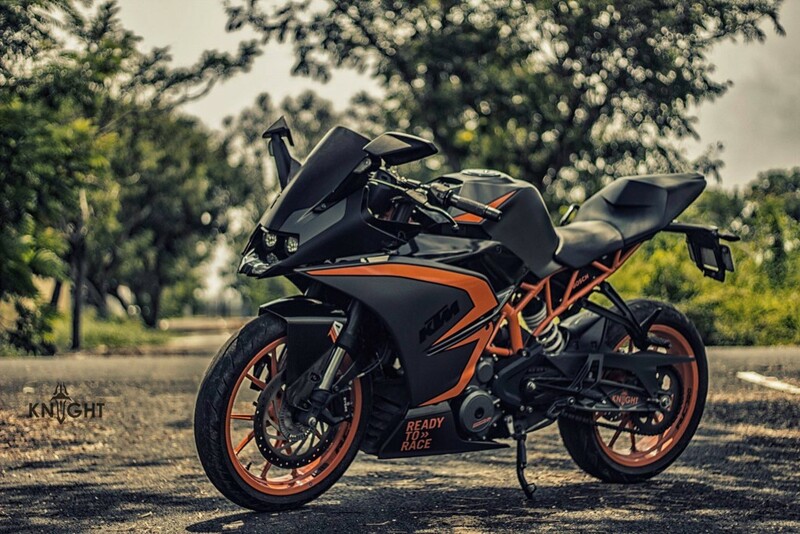 RC390’s unique styling, Orange finished frame and wheels along with its rubber burning performance makes it the best motorcycle for those who are on a fixed budget performance hunt. 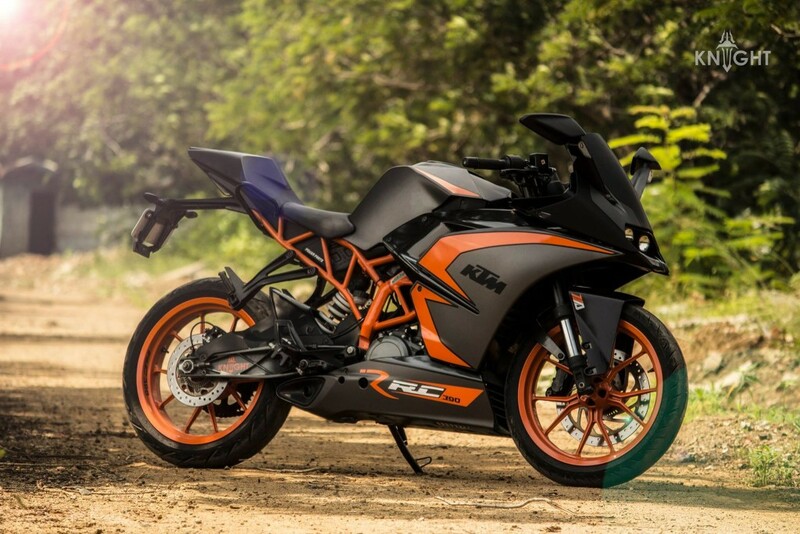 The motorcycle produces a mind blowing 43.5HP/36NM from its 373.2 cc, liquid cooled and fuel injected engine. 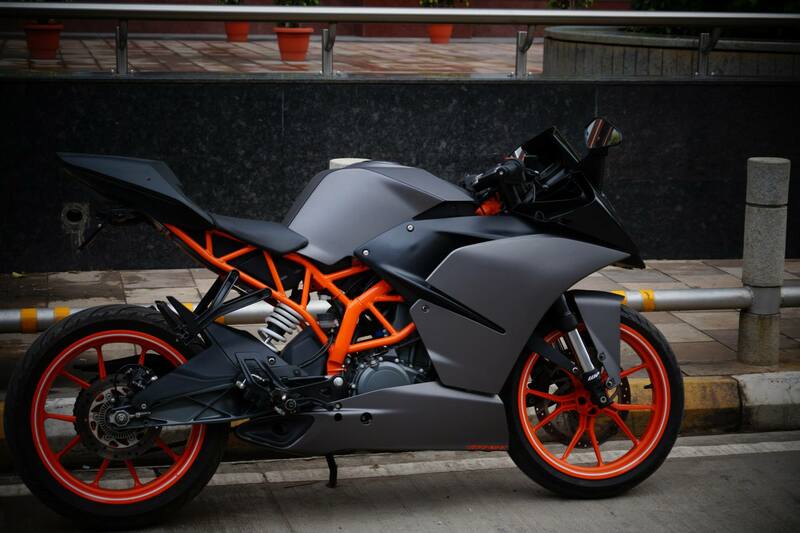 The most insanely wrapped KTM RC390 till date, the Matte Metallic Grey and Gloss Metallic Black shades on this motorcycle has been so neatly finished that even those who disliked the Orange machine would start loving it. 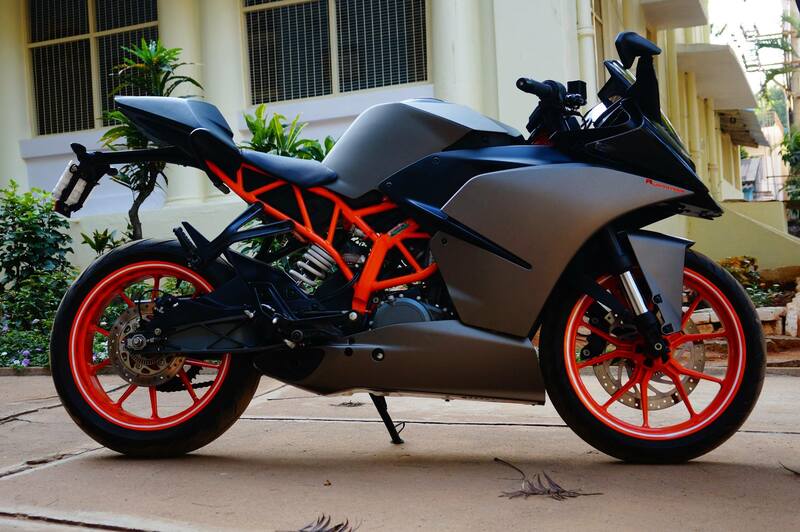 The Orange inserts here are different than the stock version’s shiny appeal. 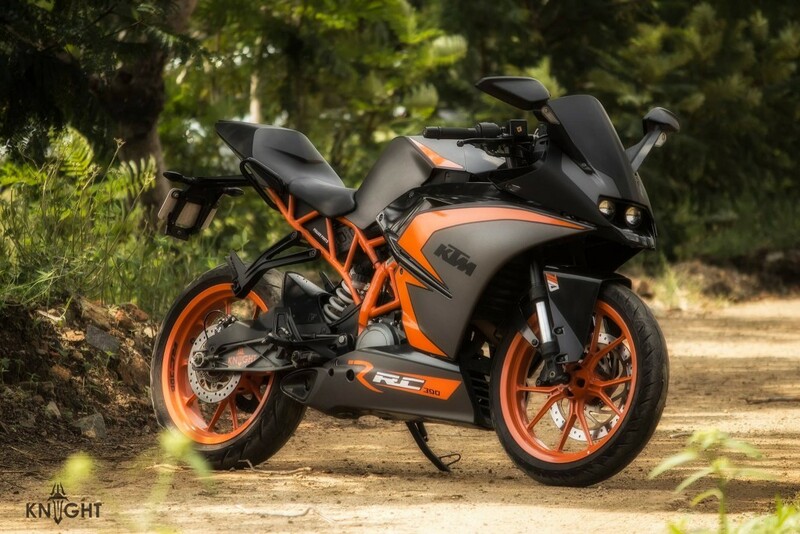 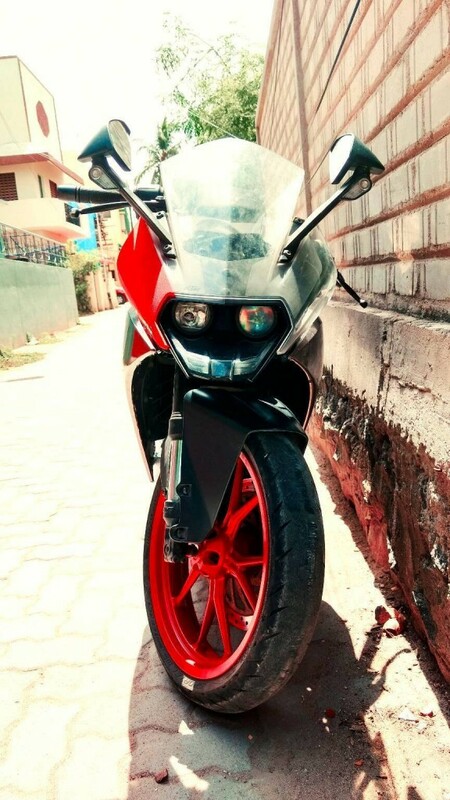 This particular RC390 can easily beat a liter class sportbike with its mean machine looks. 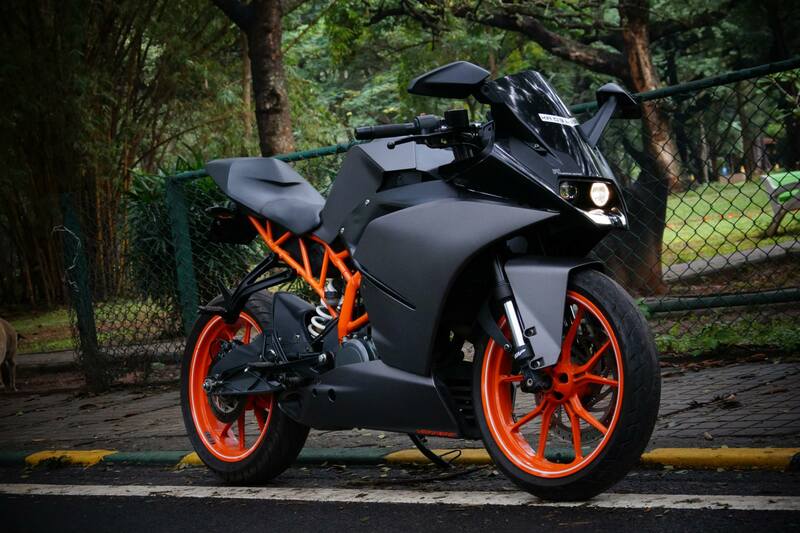 The RC390 here loses all of the White inserts from its body, leaving the color assigned to just the RC branding. 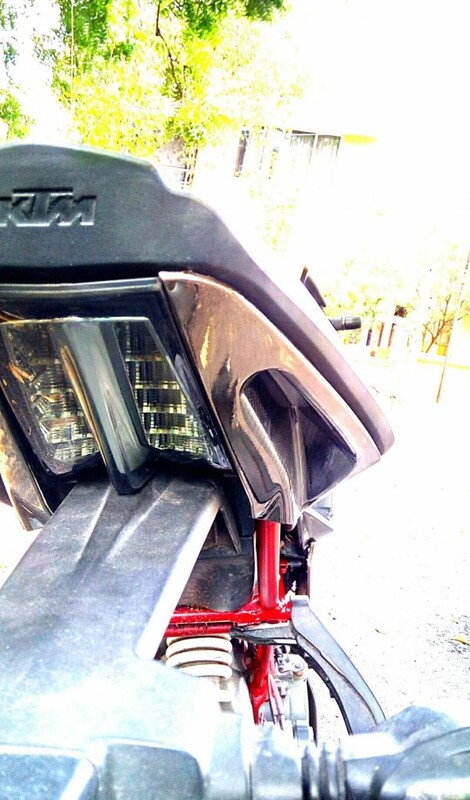 The insertion of Grey and Black at the front has been systematically done as the Black surrounds the Grey mirror holding panels in the most possible neat way. 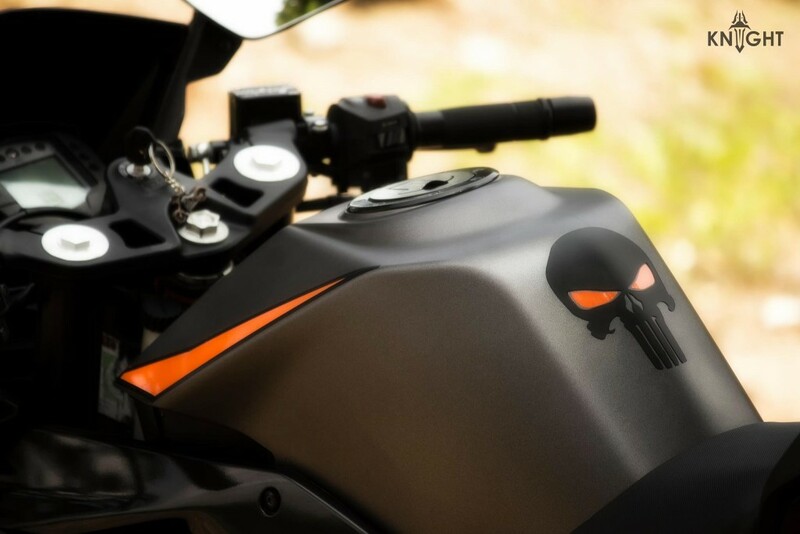 The fuel tank finished in Matt Grey with a skull carrying Orange eyes facing the rider. 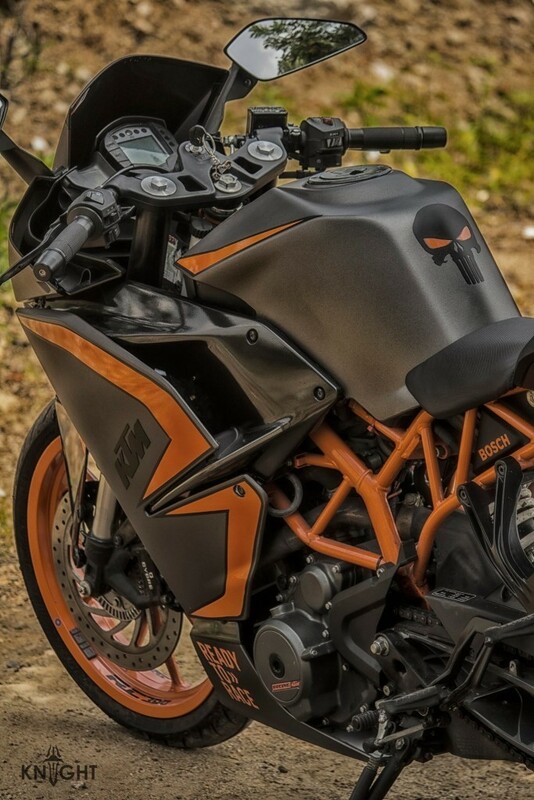 WrapCraft has brilliantly worked on the flagship Indian KTM race machine and wrapped it in Charcoal Grey and Charcoal Anthracite, taking its mean looks to another level. 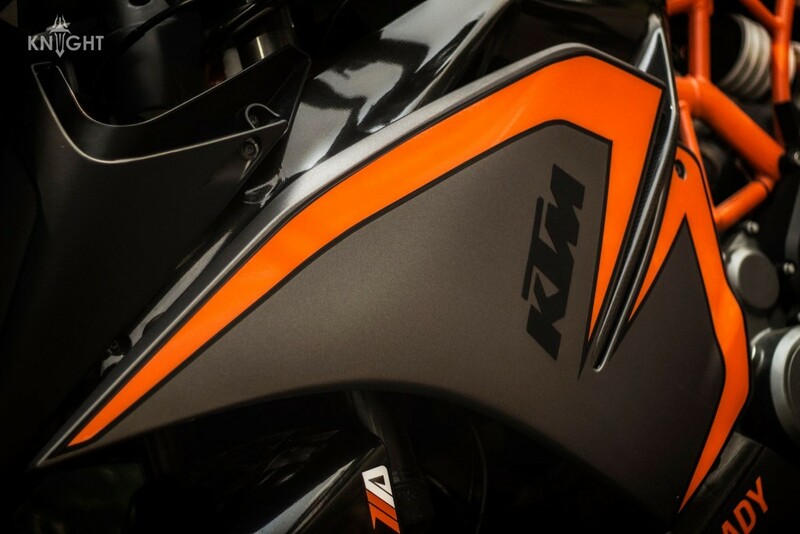 The Orange parts remain untouched except the addition of highly reflective pinstripe on both the wheels. 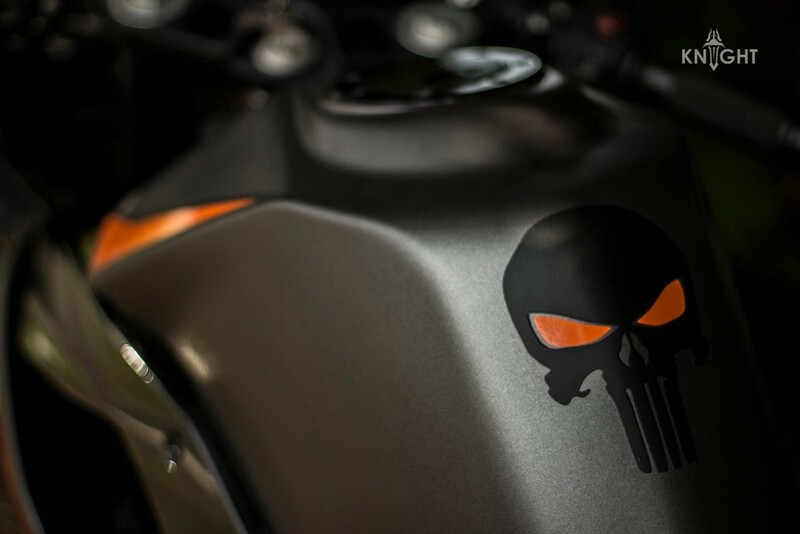 The fuel tank, side fairing and the front mudguard has been finished in these exclusive shades while the tail light and rear indicators are smoked to match the dark attitude of the motorcycle. 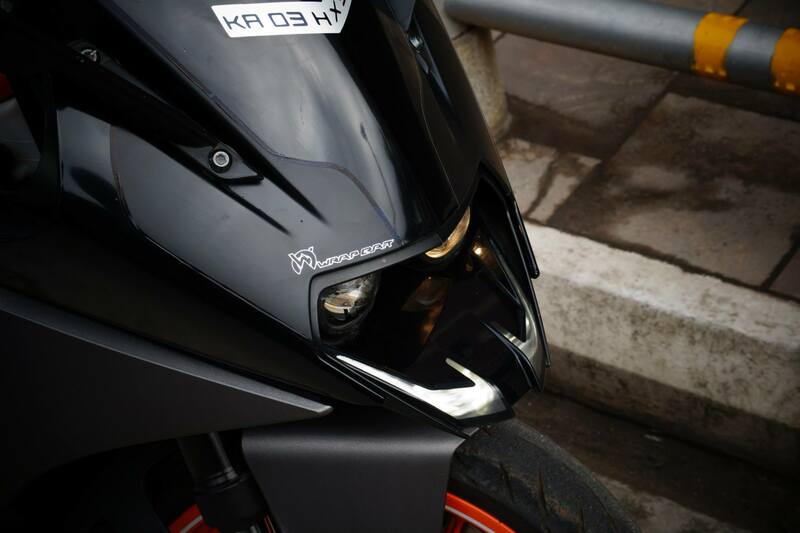 The front windshield which even extend to the sides is transparent in stock condition while WrapCraft has finished the same in Matt Black, keeping it slightly translucent for a better finish. 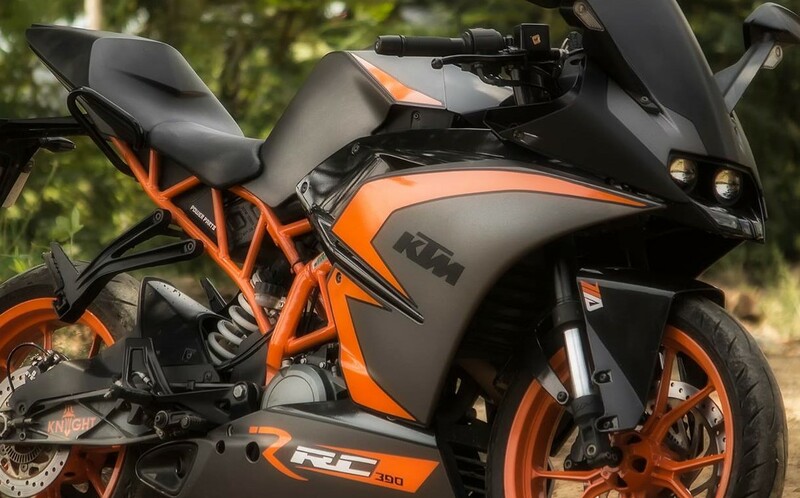 Everything else remains the same, the best part of which is that no performance alteration has been done, keeping the warranty valid for those who have recently bought the RC390. 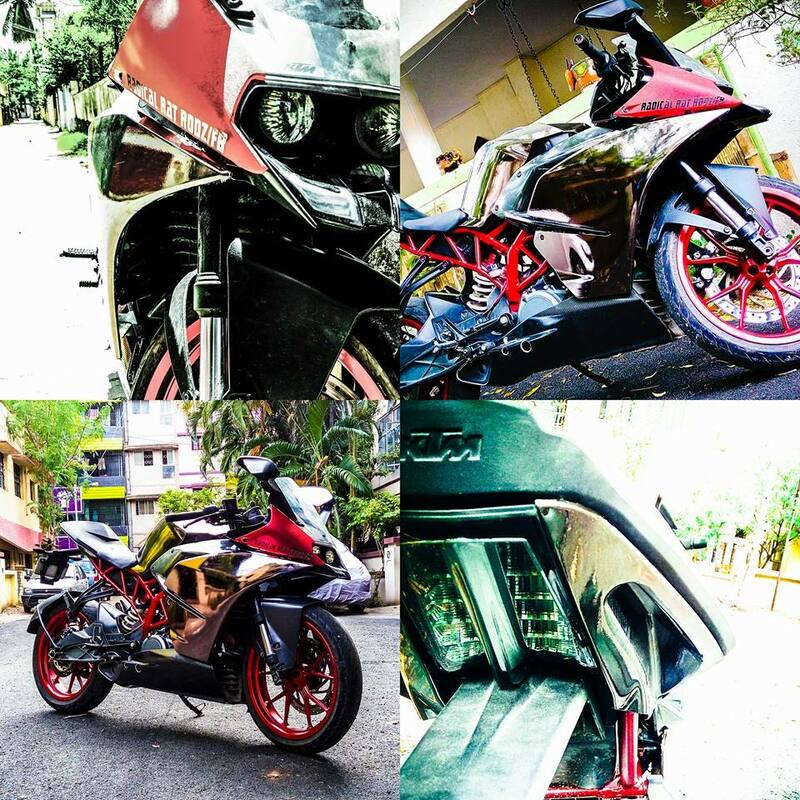 Radical Rat Rodz (R.A.C.E) are here with their custom wrapped KTM RC390, taking the theme to Red instead of the regular KTM motorcycles. 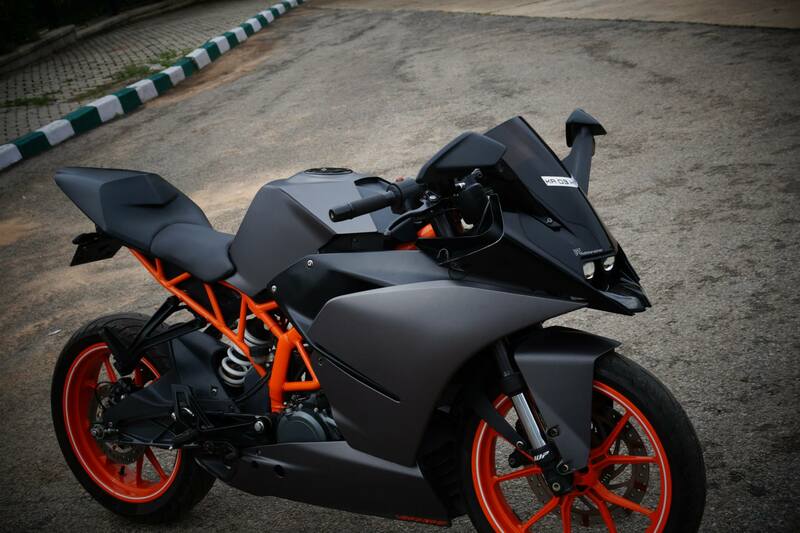 Without altering the performance of this RC390, it makes it stand apart from the crowded roads with much ease. 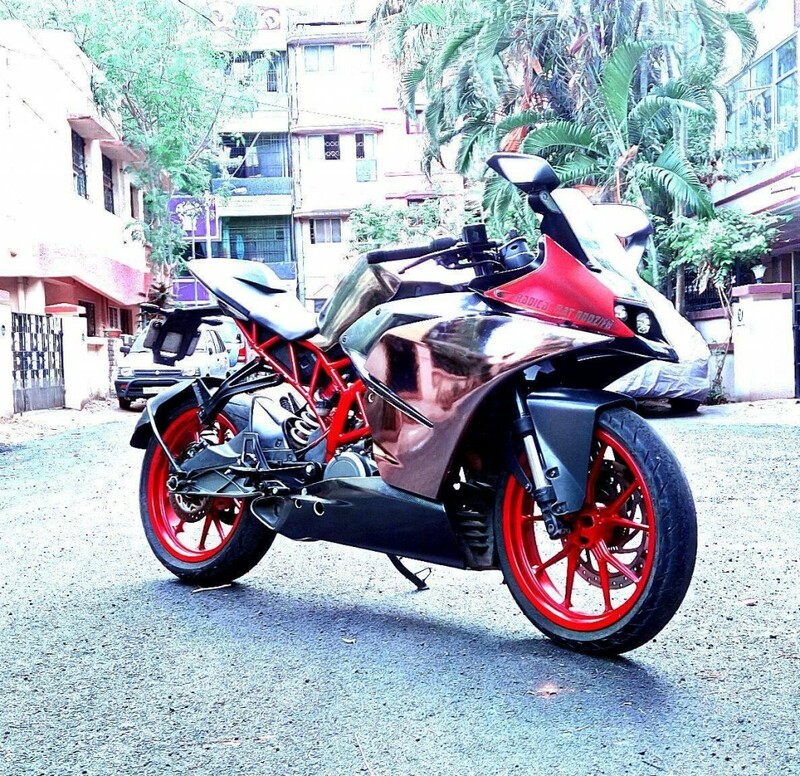 Finished in Graphite Chrome and Bobby Red theme, this typical RC 390 shines like no other on the road. 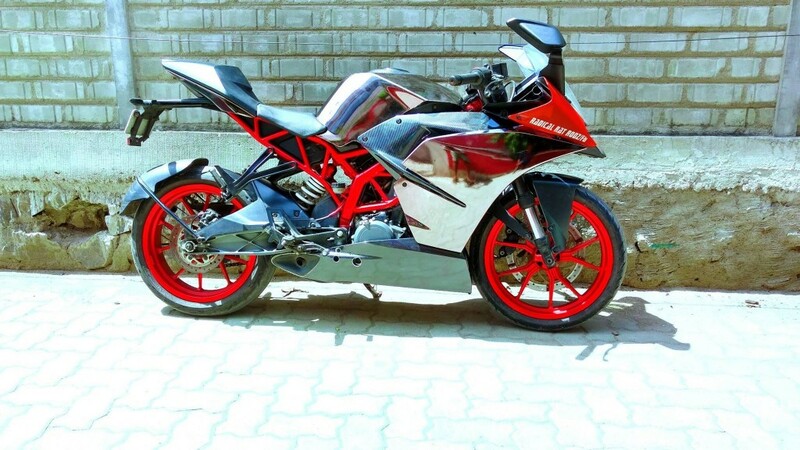 The side fairing, fuel tank and even the panel around the exhaust in finished in Graphite Chrome whereas the alloy wheels, exposed frame and single side of the front fairing is finished in Red. 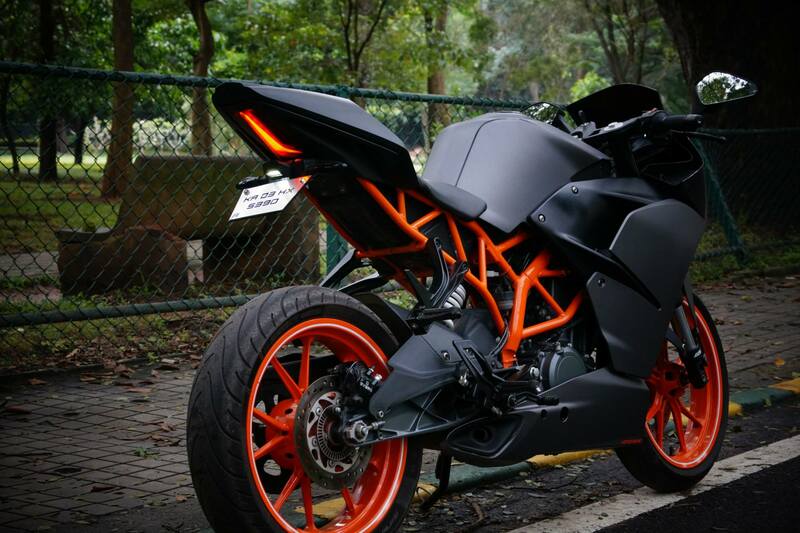 Rest of the parts like half of the front fairing and even the panels around the taillight are dipped in Smoky Chrome.